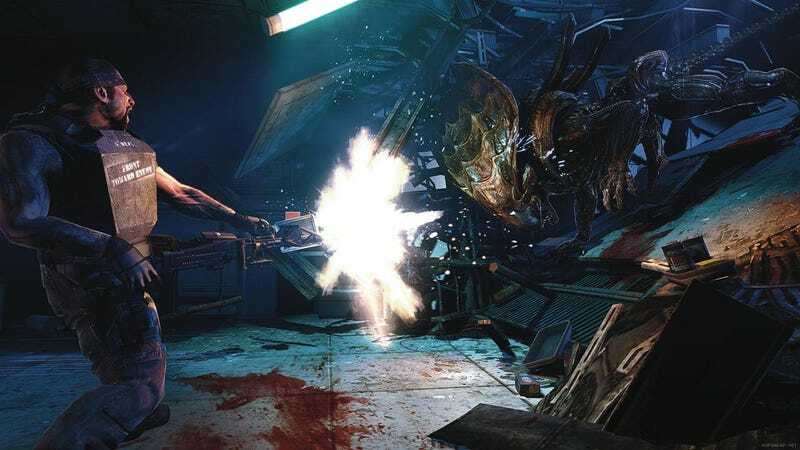 Gearbox Software pumped out another six screenshots of its upcoming Aliens: Colonial Marines over the game's official Facebook page this afternoon. The game is still on course for a 2012 release, as these grabs are meant to show. They also show wrecked infrastructure, rampaging xenomorphs and humans in charge of the galaxy's least desirable Orkin franchise.